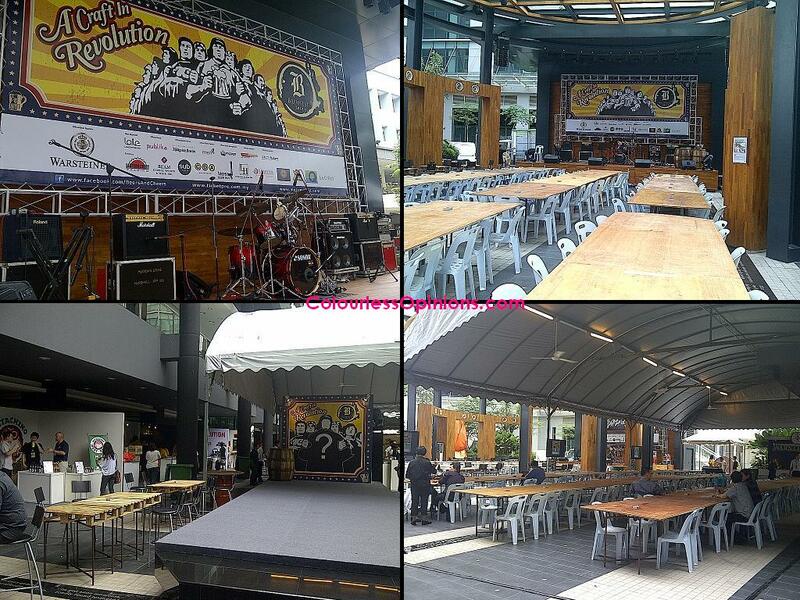 Another month, another alcoholic event in Malaysia. 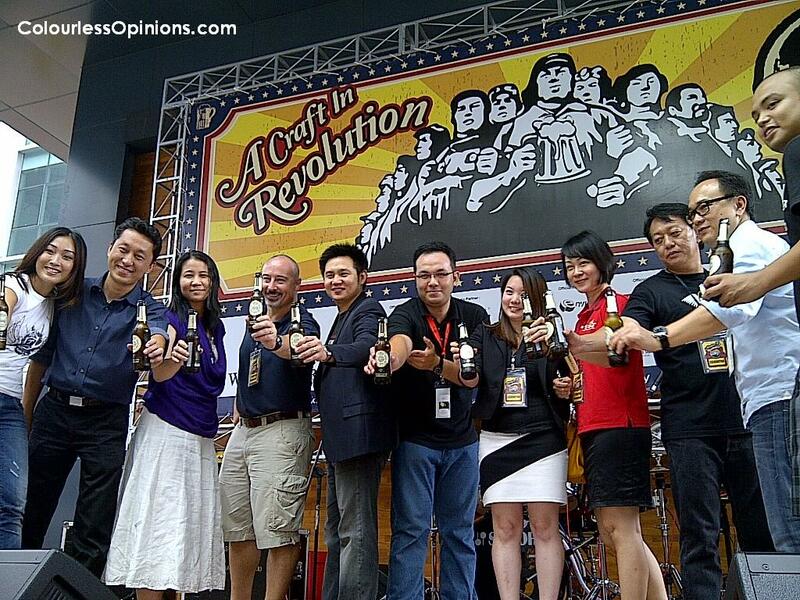 Enter Brewfest 2012 – A Craft in Revolution. 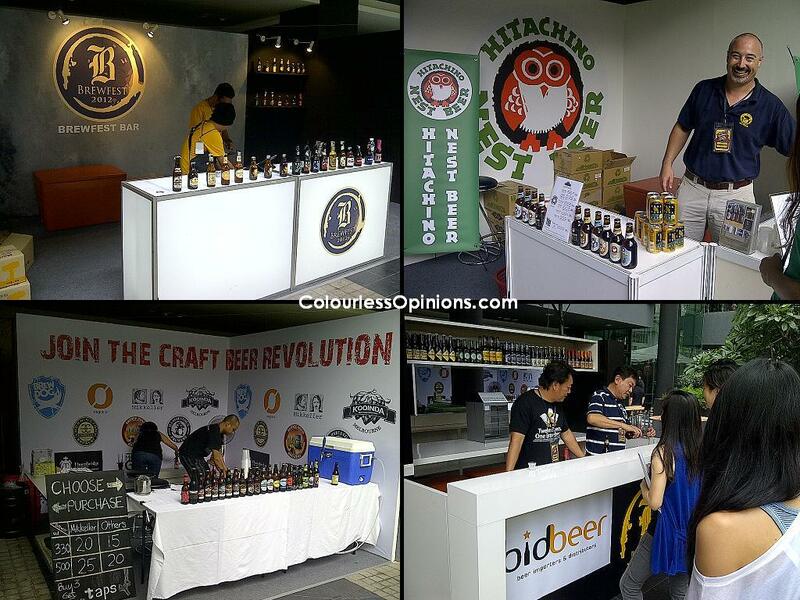 Similar to the concept of Genting Highland’s United Nations of Beer Festival happened just last month, this three-day extravaganza at Publika Solaris Dutamas Kuala Lumpur gives beer fans the opportunity to taste over 50 different premium and craft brews. The festival begun on 17 May 2012 and go on until tomorrow, 19 May 2012, 5pm to 1am. It was a privilege for me to attend the opening yesterday before it all kicked off. I got to taste some really awesome drinks and foods here. Many distributors, both local and overseas, are at the event to introduce the interesting uncommon beers that they have in store at their own booths respectively. The brands, originated from many different countries, were all unheard of to me. It is said that most of them are not available in the local market. I’d like to just call them non-mainstream beers. Big names such as Carlsberg, Guinness, Tiger, Chang and Hoegaarden are not featured at all on this occasion. If you’re a beer lover and you know how to truly appreciate the art of breweries, you would’ve definitely enjoyed it more than me. Just a reminder, the final day’s tomorrow. their sake, I hope the weather doesn’t play games until it’s all over. During the trade period, I got to taste quite a number of different brews. Friendly and passionate Singapore-based beer importers and distributors Gerry Yeo of Bidbeer, and Charles Guerrier of Eastern Craft, had a long chat with my girlfriend and I, sharing their knowledge about beers, the industry, and detailed information on the brewery of the brands they offer. Coincidentally, their stuffs were the best I had tasted the whole day. Gerry recommended us the Coopers and it’s fantastic. 4% of alcohol content but it tastes sweet and very enjoyable, almost like shandies. My girlfriend loved the Timmermans Strawberry beer for obvious reasons. Charles’ Hitachino products taste exceptionally smooth and unique. The coolest thing about them is that these beers apparently taste better when they’re warm although they’re usually served cold just like any other beer. 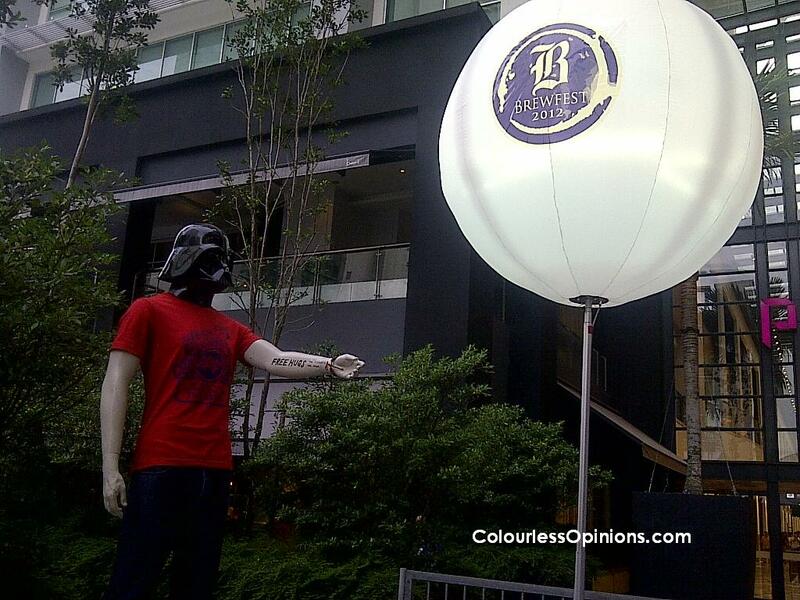 One of the many booths were offering an apparent non-halal beer. Unfortunately, I didn’t get to try. How can it be called a beer if it’s non-alcoholic anyway? 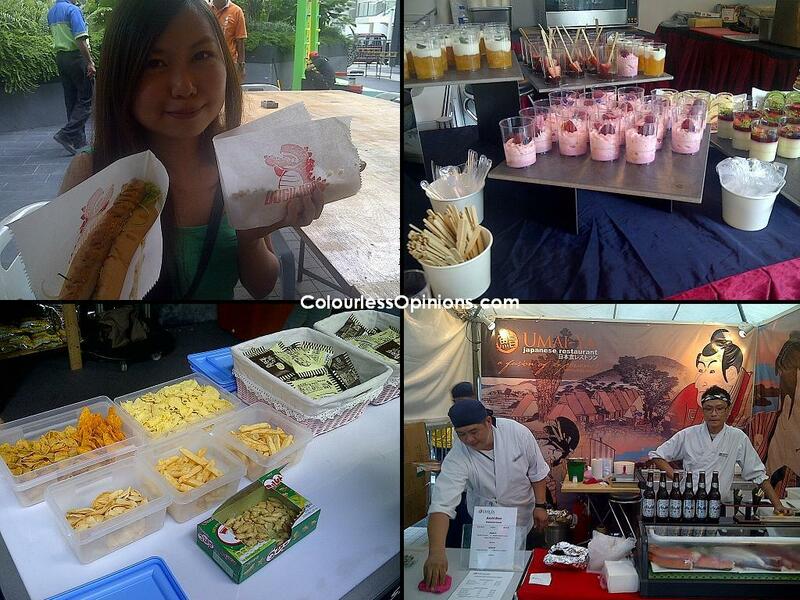 The food that the booths offer are uncommon as well. From Korean biscuits, crackers and cookies, to Japanese fast foods like hotdogs and fried chicken. Sushi Q is there as well and perhaps the most popular restaurant name at the event. All were not bad. I wonder how much they actually cost. 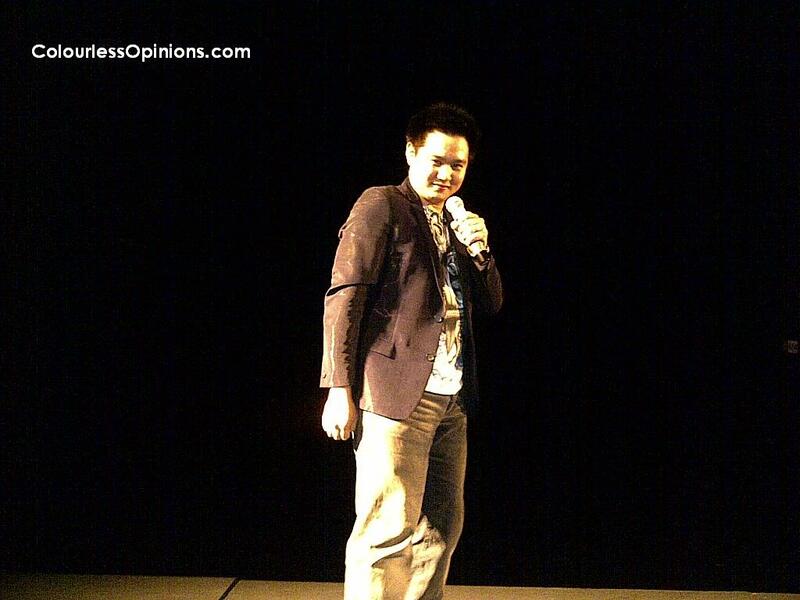 Before taking off, we got to catch Douglas Lim‘s free stand-up comedy act at Black Box. He is absolutely hilarious and very controversial as well. He made a pose when I was taking a picture of him during his show and reminded me not to record, afraid that his jokes would put him in trouble. I would’ve loved to see his other two shows. wants to see the second and third show of the day, they would have to purchase another different ticket which is RM20 per show. Well, the organisers can’t blame no one but themselves if the turn out is poor. I LOVE DOUGLAS LIM! Next time you need to share what is the controversial jokes, haha.